In seafood products Trimethylamine (TMA) is an indicator of the conservation status. In freshly caught samples it is almost absent and its content increases during spoilage. In the present work a new and easy GC-FID method with a commercial capillary column, specifically designed, is applied. TMA was measured at increasing time intervals in four marine species caught in the Tyrrhenian Sea and stored in ice, for a total of 852 individuals analyzed. For each species an assessment about the maximum allowable time of storage in ice was made. Existing guidelines about the level of Trimethylamine are reviewed and discussed. NEVIGATO, T. et al. TRIMETHYLAMINE AS A FRESHNESS INDICATOR FOR SEAFOOD STORED IN ICE: ANALYSIS BY GC-FID OF FOUR SPECIES CAUGHT IN THE TYRRHENIAN SEA. Italian Journal of Food Science, [S.l. ], v. 30, n. 3, may 2018. ISSN 1120-1770. Available at: <https://www.chiriottieditori.it/ojs/index.php/ijfs/article/view/1092>. Date accessed: 24 apr. 2019. doi: https://doi.org/10.14674/IJFS-1092. 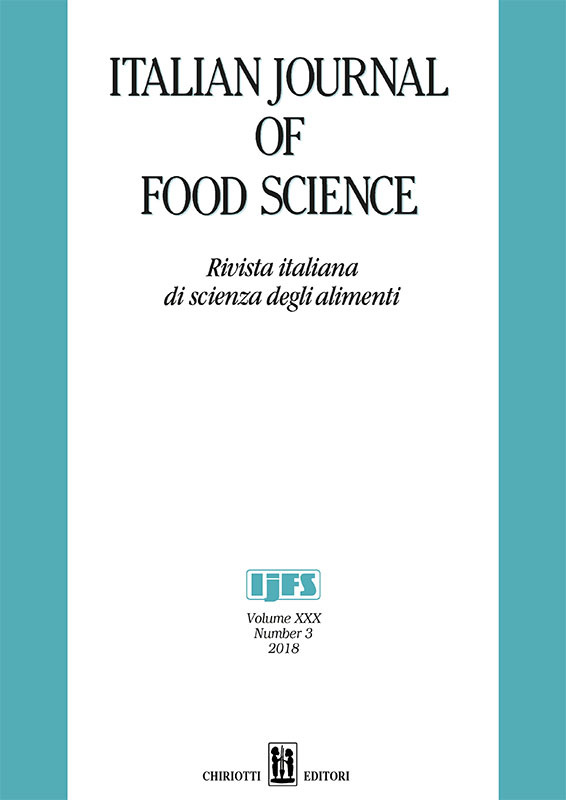 Before publication, after the acceptance of the manuscript, Authors have to sign a Publication Agreement with "Italian Journal of Food Science", granting and assigning to "Italian Journal of Food Science" the perpetual right to distribute the work free of charge by any means and in any parts of the world, including the communication to the public through the journal website.